Urformen der Kunst : photographische Pflanzenbilder, 2. 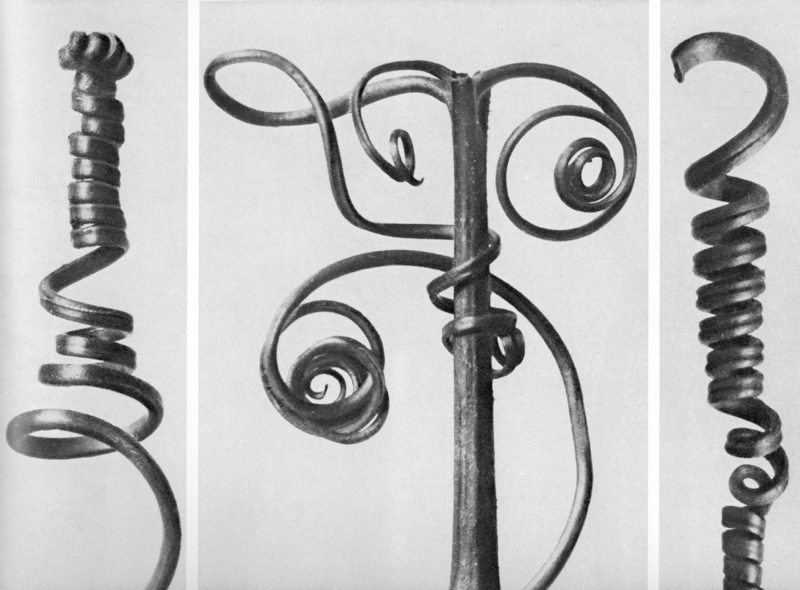 Aufl, von Professor Karl Blossfeldt; Hrsg. mit einer Einleitung von Karl Nierendorf (Berlin : E. Wasmuth), 1929, xvii p. 120 leaves of plates: 32 x 25 cm [in German]. $3,500 or nearest reasonable offer. 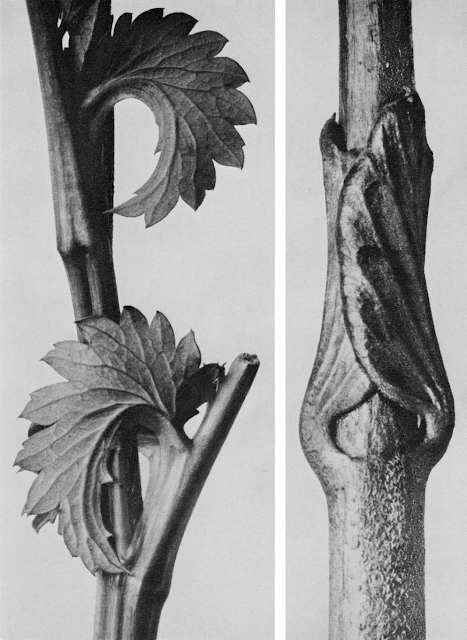 This is the 2nd edition of Blossfeldt's classic work. It still has the cover box, which has seen better days. However the volume itself is in very good shape. Its cover has been protected for many decades by a paper cover, hand-drawn and coloured in the style of Frank Lloyd Wright, made by the original owner, marine engineer/architect/historian Fritz Matthews. The two images below are just a couple of examples from the 120 photogravures that are individually mounted on every other page in this amazing, extremely rare, book. If you want to make an offer on this historic volume, or simply want more information, please leave your contact information in the comments. I'll get right back to you. I'm on facebook, Google+, LinkedIn, and twitter. So if you have a presence on any of those, you won't have to give away any personal information that you may not wish to. See more images from this volume? Click here.